Although geographically in Southern Ontario, the Parry Sound District is the only census division in the southern part of the province which does not have an incorporated county, regional or district municipality level of government, instead serving as a purely territorial division like the districts of Northern Ontario. Along with the neighbouring Muskoka and Haliburton regions, the Parry Sound District is also part of Ontario's cottage country region. The district is divided into two subregions; West Parry Sound and East Parry Sound, which is referred to as the Almaguin Highlands. Almaguin Highlands Region in Ontario is a vast area that covers approximately 8000 square kms (3000 square miles), larger than some small European Countries, and stretching northward from the District of Muskoka to Lake Nipissing. The eastern part of the Highlands border on Algonquin Park, Ontario's largest and oldest Provincial Park, featuring several world renowned water access points along with convenient facilities so the visitor can enjoy camping and canoeing at their lesiure. To the West lies the rugged shoreline of the Georgian Bay Biosphere along with its 'Thousand Islands', and the thriving town of Parry Sound. The Almaguin Highlands Region is made up of 18 distinctive Municipalities that encompass many small towns, villages and hamlets. From Novar to Callander, from Port Loring to Kearney, this region of Northern Ontario presents to the visitor, the majestic landscape of the Canadian Shield, enhanced by the history and the charm of its many rural communities. With its wide open spaces of mixed woodlands, rolling hills and rocky crags, with hundreds of unspoiled lakes and rivers, the Almaguin Highlands is a paradise for hunters and fishers and outdoor enthusiasts of all kinds. Kearny was part of Perry Township and was opened to settlement in 1873. In 1908, Kearney separated from the township of Perry, and it was incorporated as a town. The original parcel of land included 600 acres (2.4 km²). The current land mass is 531.31 km2 (205.14 sq mi). The first two Post Offices in the Township were established at Scotia and Emsdale, on the Muskoka Road. In 1879, in the north-east corner of the township, settlers Arthur J. O'Neil and his partner William Kearney opened a store on the 12th Concession, near what is now Cherry Hill Road, (west of Beaver Lake). In the following year a post office was opened in "Kearney Store" and inherited the name. In those days the closest railway was the Northern at Gravenhurst from which all supplies were brought up the Muskoka Road.Kearney prospered as a logging town with many sawmills and lumber camps. The logs were floated down the Magnetawan River, some as far as Byng Inlet. It was in the mid 90s, a town counselor and Kearney Youth Group founder, Dale Louise Germaney, coined the name "Ontario's 'Biggest Little Town'" which is still used to this day. However, no credit was ever given to Dale, even after her untimely demise from lung cancer. Today Kearney is a well known tourist centre because of it being a gateway to Algonquin Park with three access points: Tim Lake, Magnetawan Lake and Rain Lake. Parry Sound is located 160 km (99 mi) south of Sudbury and 225 km (140 mi) north of Toronto. It is the seat of Parry Sound District, a popular cottage country region for Southern Ontario residents. It also has the world's deepest natural freshwater port. The town of Parry Sound was named by Commander Henry Wolsey Bayfield. In 1820 he was commissioned to map Lake Huron and Georgian Bay and found it to be not only beautiful, but also a safe and well-protected harbour. He named it after the explorer of the Northwest Arctic Passage, Sir William Edward Parry. However, the harbour was well-known long before it was a town. Natives living in the area used the mouth of the Sequin River as a meeting place. Fur trappers also had a trade stand and Jesuit priests used the rivers on their missions because it gave them a sheltered route for their canoes go pass into the interior of the land from the Great Lakes. In 1857, it was established near the Ojibwa village of Wasauksing ("shining shore") at the mouth of the Seguin River. In the late 19th century, rail service was established, making the town an important depot along the rail lines to Western Canada. In 1916, a cordite factory was established in the nearby town of Nobel for the Imperial Munitions Board. In the late 1920s and early 1930s, an explosives and munitions factory was also built at Nobel, making Parry Sound became an important part of both the First World War and the Second World War efforts. During the early part of the 20th century, the area was a popular subject for the many scenic art works of Tom Thomson and members of the Group of Seven. Parry Sound is also the birthplace of hockey legend Bobby Orr, the namesake of the local community centre and the town's own Bobby Orr Hall of Fame. The Township of The Archipelago was incorporated on April 1, 1980, as the result of an amalgamation of the Townships of Georgian Bay, South Archipelago and Georgian Bay North Archipelago. Almost a third of the population of the southern part lives on the islands in the Sans Souci and Copperhead area, centred on Frying Pan Island. Much of its area is undeveloped and crown-owned land. In the north, 96 percent of the mainland and 50 percent of the islands remain in the public domain, and in the south, 83 percent of the mainland and 70 percent of the islands, a large part of it is protected in the The Massasauga Provincial Park. The Township obtained its name from the many islands that surround its bounderies. Archipelago: a group of islands - a sea or stretch of water containing many islands. Armour was created to facilitate new growth via the 1868 Free Grants and Homestead Act which brought farm families and forestry businesses to the southern precambrian shield area of Ontario. It was named after the Honourable Mr. Justice John Douglas Armour, Chief Justice of Ontario, who would eventually sit as a Judge on the Supreme Court of Canada. The township surrounds but does not include the village of Burk's Falls. The Township includes the communities of Berriedale, Carss, Chetwynd, Katrine and Pickerel Lake. The community of Dillon is located on central Georgian Bay near Franklin Island. The area is popular for campers and outfitters because of the sheltered bays and coves. Community landmarks include the Dillon Cove Marina, Dillon Bridge, Shawanaga River and its rapids. 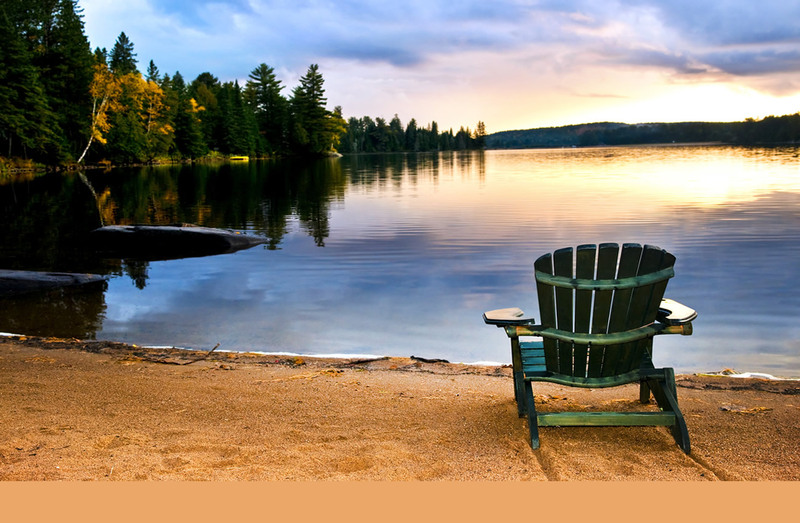 As a cottage destination, the population is low during the winter months, and increases in the summer with cottagers and tourists. The CBC Television series The Rez was shot there at Harrison's Landing. In 1890 Joly Township was incorporated and does not contain any communities within its boundaries but is adjacent to Sundridge, South River, Hartfell and Pevensey. Loacted east of Sundridge which resides in the Almaguin Highlands and the western boundry of Algonquin Park it has an abundance of summer and winter activities close by. As a small Township Joly has an abundance of vacant land for building and devlopment. There is also thousands of acres of crown land that protects its rural nature. Machar surrounds Eagle Lake and to the north the Village of South River lies at the northern end of the Almaguin Highlands. In the heart of the Township Mikisew Provincial Park is located along the western shores of Eagle Lake. Seasonal activities are abundant. McKellar is named for Archibald McKellar (1816-1894), a member of the legislative assemblies for the province of Canada (1857-1867) and Ontario (1867-1875). McKellar is also the primary and largest community within the Township, located along Provincial Highway 124. It was originally known as Armstrong's Rapids, but the name McKellar was given when the post office opened in the community in 1870. There are over 15 lakes and numerous rives along with miles of groomed snowmobile trails. The largest lake being Manitouwabing Lake. The municipality was formed in 1998 through an amalgamation of the former Township of McMurrich and the eastern two-thirds of the unincorporated Township of Monteith. The remaining portion of Monteith became part of Seguin. The Township includes the communities of Axe Lake, Banbury, Bear Lake, Bourdeau, Haldane Hill, McMurrich, Sprucedale and Whitehall. The founder James Chapman arrived from Pembroke in a canoe in 1862 looking for suitable land for settlement. He laid claim to the property by making brush piles and was granted free land by the Ontario Government. By 1869 James and his wife, Phoebe Edwards built their house and barn and farmed the land. James also carried mail by canoe and dog team. In 1888 Nipissing was incorporated. The Chapman Valley and Chapman Township near Magnetawan were named after the family. The Township includes the communities of Alsace, Christian Valley, Commanda, Hotham, Nipissing and Wade's Landing. Considered the gateway to Almaguin Highlands and Northern Ontario because of its magnificent landscapes, lush forests and crystal clear rivers and lakes. In 1873 Perry Township was surveyed and opened for settlement, declaring to contain 46,334 acres of land with only two-thirds fit for settlement while 1,610 acres were water. The original members of the survey crew, William Slorach and David Gilruth along with their families were the first settlers to the area. Slorach became the first postmaster and asked that the post office be called 'Scotchtown' nodding to his Scottish heritage. However, there was already a post office by that name in Ontario and was named 'Scotia' in order to come as close to the requested name. Two other settlements were forming around the same time, Emsdale to the north of Scotia and Cypress to the south. In 1884 When the railroad came through the area two miles southeast of Cyrpress the entire settlement rebuilt their homes along the tracks and called it 'Novar'. It was renamed their new settlement after their Scottish hometown Clear Lake. In 1888 Perry Township was incorporated. Ryerson Township was named after Egerton Ryerson, the Chief Superintendent of Education for Ontario from 1844 to 1876. The Township is made up of six well known communities; Midlothian, Doe Lake, Starratt, Wiseman's Corner, Cecebe and Bordeau. The Magnetawan River winds its way through the township from East to West and offers several lakes for outdoor activities. Seguin was formed in 1998 through the amalgamation of the following Municipalities: Christie, Foley, Humphrey and the Village of Rosseau. At that time, the western part of the Township of Monteith was annexed to Seguin. In 1876 the first settlers arrived in Strong Township in the Almaguin Highlands. It surrounds the Village Sundridge (not included) and is home to the world's largest freshwater lake without an island, Lake Bernard. The township includes the communities of Hartfell, Kennedys, Lake Bernard, Pevensey, Stirling Falls and Strong. The first people in the Callander area were of Ojibwa and Algonquin descent who have lived around Lake Nipissing for about 9,400 years. Though in history known by many names, they are currently known as Nipissing First Nation. They are generally considered part of the Anishinaabe peoples, a grouping which includes the Odaawaa, Ojibwe and Algonquins. The Municipality of Callander was formerly the Township of North Himsworth. The municipality renamed itself from North Himsworth to Callander in 2003, adopting the name of its major community because, in the words of then-mayor Bill Brazeau, "Nobody knew where North Himsworth was." The main community is located in the northeast corner of the municipality, along the eastern shore of Callander Bay and Lake Nipissing runs southwest to the southwest. The communities of Wisawasa and Lighthouse Beach are included in the Municipality of Callander. The Hurons, Ojiway and Algonquins were the first people to inhabit the region and would visit the area in the summer then would shelter on Georgian Bay in the winter. In the early 19th century Europeans had never really settled in the region but only explored it. This prompted the government to condsider turning the entire region into an Indian reserve until the pine stands in southern Ontario became depleted and loggers started to be attracted to the area.In 1853 free land grants were offered and settlement started to accelerate in 1866 with the colonization road from Rosseau to Nipissing being built. The government passed the Free Grand Land and Homestead Act in 1868 enticing immigrants exclusively from Europe. Townships started being surveyed later, Croft in 1869, Chapman in 1870 and the Village of Magnetawan in 1873. The Magnetawan Township was eventually formed in 1998 through the amalgamation of the Township of Chapman and the Village of Magnetawan, along with the unincorporated geographic Townships of Croft and Spence. The township comprises the communities of Ahmic Harbour, Ahmic Lake, Cecebe, Cedar Croft, Chikopi, Dufferin Bridge, Magnetawan, North Seguin, Oranmore, Pearceley, Port Anson and Port Carmen, and Spence. Note: The first woman to be elected mayor in a community in Canada was Barbara Hanley, who was born in Magnetawan in 1882. Magnetawan means "swiftly flowing river." The government lured settlers to McDougall Township through the 'Free Land Grant' that was extablished in the mid 1800s. It was found that the land was too rocky and there was extensive scrub brush that covered the area making it not favorable to farming, however it was very favorable for logging. On May 1, 1872 McDougall became incorporated and was named after one of the Fathers of Confederation, William McDougall. When the rail line was extended in 1907 a small train station was built seven miles miles north of Parry Sound and named Peart, later renamed to Ambo. McDougall almalgameted with the Township of Ferguson and created the Municipality of McDougall in 2000. The township comprises the communities of Badger's Corners, Nobel, and Waubamik. The original settlement was at a bend of the South River known today as the Powassan Chute and is the present hydro plant. In 1880 the Village of Powassan was formed at that spot and a sawmill was built followed by the grist mill. January 1, 2001 the Town of Powassan, Trout Creek and Himsworth Township almagamated to form the Municipality of Powassan. Powassan is an native name which means a "bend". Until early 1970 the Ardbeg fire tower was one of the last remaining manned fire towers in Southern Ontario. It stood on a small hill where the road meets the railway. In 2000 Whitestone amalgamated the Townships of East Burpee, Burton, McKenzie, Ferrie, Hagerman, and part of Croft, as well as the communities of Ardbeg, Dunchurch, Maple Island, and the village of Whitestone to form the Municiipality of Whitestone. The township comprises the communities of Ardbeg, Boakview, Bolger, Burton, Dunchurch, Fairholme, Lorimer Lake, Maple Island, South Magnetawan, Sunny Slope, Wahwashkesh, and Whitestone. Part of the Magnetawan River cuts through the municipality. In the 1860s loggers settled around the area of Burk's Falls by making their way up the Magnetawan River from Georgian Bay or by travelling through the unsurveyed forests. In 1886 the railway service came to Burk's Falls with the opening of the Northern and Pacific Junction Railway, later to become the Grand Trunk Railway in 1888. It was David Francis Burk of Oshawa who gave Burk's Falls his name sake when he selected the land surrounding the waterfall in the Free Land Grant Act. In 1890 Burk's Falls was incorporated and is a part of the Magnetawan River waterway. The community is surrounded in all directions by the fresh-water bodies of water Northern Ontario is famous for, the largest of which are Horn Lake to the NorthWest, Pickerel Lake to the NorthEast, Three Mile Lake to the SouthEast and the joined Doe and Little Doe Lakes to the SouthWest. In the 1860s logging began in the area followed by the first settles in 1881. Robert Carter and his wife arrived after the completion of the Grand Trunk Railroad and opened a general store. Within a few years the community of South River was established. The river lent itself to provide power for the sawmill and grist mill, along with being used for log driving. The village separated from Machar Township in 1907 when it incorporated. Today South River is used as an access point to Algonquin Park at Kawawaymog (Round Lake) and is also on the route to Mikisew Provincial Park on nearby Eagle Lake. When the Canadian National Railway extended north, Sundridge developed as a result, bringing with it the first settler, James Dunbar to the area in 1876. By 1885 the railway was completed and the Village of Sundridge was established on March 23, 1889. During World War I, Sundridge was the location for basic training for the 162nd Canadian Battalion.